Catholic Bishops in Nigeria have called on the government to protect the lives and property of its people, as militants intensified their killing spree across the country. 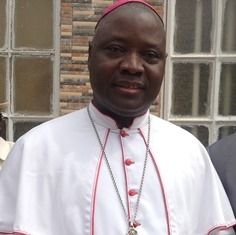 In a statement ”While Nigeria bleeds and burns” and signed notably by the President of the Catholic Bishops’ Conference of Nigeria (CBCN), Most Rev Ignatius Ayau Kaigama, the Bishops urged the authorities to carry out their ”primary duty” to protect the life of every Nigerian, irrespective of tribe, religion, social class or tradition. “As Nigeria tragically bleeds and burns, we Bishops are really alarmed at the scale of human and material destruction, and the disruption of village and community life with increased levels of hatred and potentials for more conflicts in the nation. While Muslims are sometimes targets of these de-structive attacks, Christians, Churches and non- Muslims in general are the principal targets for extermination, expropriation and expulsion by the Boko Haram insurgents, the perpetrators of all these destructions”. The Bishops accuse the government of not doing enough to stop violence and killings. “In the face of this Boko Haram group and other criminal militias arming themselves beyond our le-gitimate government, and brazenly killing innocent, defenseless citizens, our government must do more than it is currently doing to safeguard our lives and defend our nation. ”It must do more than it is currently doing to fight off and disarm these actual destroyers of Nigerians and Nigeria. It must do more than it is currently doing to prevent segments of our nation from drifting into anarchy and mutual self-destruction and to bring criminals to justice”. The Bishops’ statement, issued at an Annual Plenary meeting in Warri Diocese, in southern Delta State (on Thursday, Sept. 18), warned over the danger posed by militants’ insurgency. A national ‘all night prayer’ rally is scheduled for both the 13th and 14th of November, 2014 (in the capital Abuja), to pray for the nation. 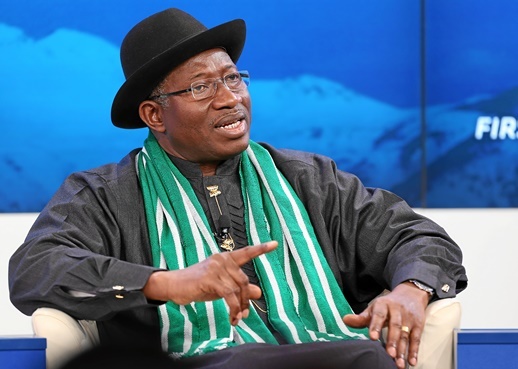 Goodluck Jonathan pictured at the annual meeting of the World Economic Forum in Switzerland in January. Meanwhile, scores were killed in various attacks attributed to Islamist militants, prompting further calls for action. On Sept. 16-17, a night raid carried out by unknown gunmen claimed the lives of 32 villagers in three predominantly Christian communities, in Sanga Local Government Area in Kaduna State, which is much further south than the current centre of Boko Haram operations. Attacks in central Nigeria are generally attributed to Fulani herdsmen, but, according to the Christian Association of Nigeria’s Sanga Local chapter, the recent upsurge of violence requires careful consideration from the authorities. In a statement issued on Tuesday, Sept. 22, the local Christian group claims that ”over 300 lives of Christians have been wasted” in various attacks, since June. The latest violence, continues the statement, ”has clearly revealed that these attacks were carefully planned and carried out by some terrorist Islamic fundamentalists, mainly on Christians within the Local government”. ”Our children, women, including pregnant women and the aged, our clergymen, Churches, pastors’ residences and our properties have been the sole and main targets of these attacks” read the statement. On Thursday, Sept. 18, at least 15 people lost their lives as suspected militants attacked the Federal College of Education of Kano, the main commercial city of northern Nigeria. Witnesses said the attackers stormed the college while exchanging fire with police officers posted outside the grounds. There was at least one suicide bomber among the group whose explosives went off when police shot him. Some of the attackers entered a lecture hall and opened fire on the students. Back in the epicentre of Boko Haram activity in the far north-east, on Friday, Sept. 19, at least 36 people were killed in an attack on the town of Mainok – about 60 km west of Borno State capital, Maiduguri. The assailants stormed the market at midday, shooting at traders, others not shot directly were killed by stray bullets or by vehicles as they tried to flee across the highway, local sources say. Recent weeks have been marked by an intensification of Boko Haram attacks in north-eastern Nigeria. According to the Catholic Diocese of Maiduguri, which comprises the three states where the government has declared a ‘state of emergency’ Borno, Adamawa and Yobe, about 25 towns and villages are under Islamist control. ”Many of our people are being forced out of their ancestral homes, villages and towns. Right now, thousands are living in caves on the mountains, some in the forest; the few who were able to escape are being absorbed by friends and relatives in Maiduguri, Mubi and Yola. Thousands have managed to escape into the Cameroons and are living under very difficult conditions of lack of food, shelter and medication”, lamented Father Oliver Dashe Doeme, the Bishop of Maiduguri Diocese, in a statement. 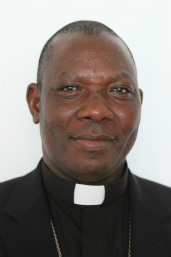 Bishop Doeme also warned of the risks resulting from the current crisis. ”We are faced with a huge humanitarian crisis; people are sleeping on the streets in Maiduguri, despite the seven or more camps within the city for the Internally Displaced Persons (IDPs). The State government is doing her bit to provide for them but the number is overwhelming and the resources are limited”.